In London today activists from Foil Vedanta and other grassroots groups held a silent symbolic demonstration outside the Financial Services Authority headquarters in Canary Wharf, calling for the new Financial Conduct Authority to de-list Vedanta from the London Stock Exchange for poor corporate governance and human rights crimes in Niyamgiri and elsewhere. They handed over documentation and arranged to meet FCA officials in future. Simultaneously the Indian Supreme Court held another hearing on Vedanta’s planned mega-mine which threatens the Dongria Kond tribe who live in the Niyamgiri hills. If permission to mine is denied Vedanta is likely to close its Lanjigarh refinery due to lack of bauxite costing them billions. See the video of today’s demonstration at the FCA, and also the new video of our previous demonstration at Vedanta Headquarters. 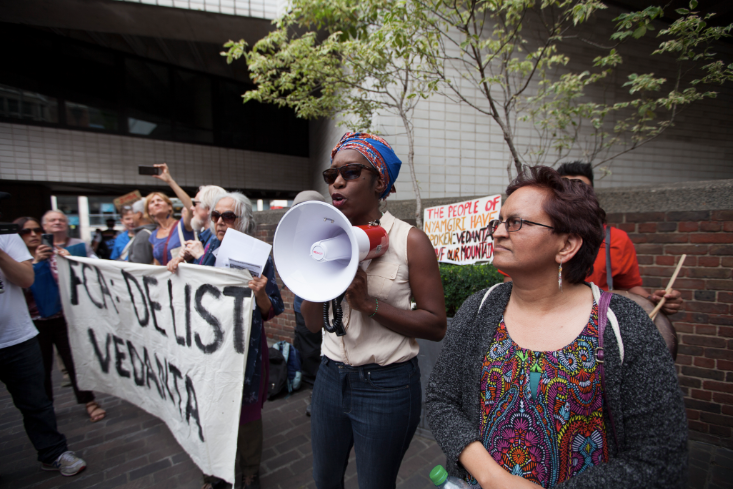 The protesters met with a representative of the FSA (FCA) to deliver key documentation about Vedanta’s chequered ethical record and request a formal investigation into the company. 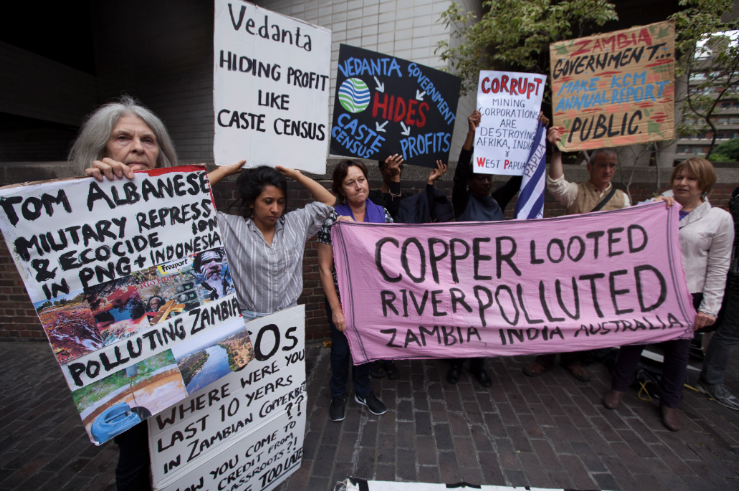 The documents included the Norwegian Ethics Council’s damning report on Vedanta which led them to pull out their substantial shares, and a report by the London Mining Network calling for stricter regulation of nominally London listed mining companies like Vedanta. Lord Adair Turner (head of the Financial Services Authority also graced the demonstration with his presence on his way into the building. They also drew attention to Vedanta’s violations of the UN Declaration on the Rights of Indigenous Peoples at the proposed Niyamgiri mine(4). The project has been racked with controversy from the start, as a spate of recent coverage points out: The Lanjigarh refinery built to process the bauxite from the hills was illegally constructed, the court case presided over by a judge with shares in the company, and the refinery should never have been given permission without including the associated mega mine in impact assessments1. See the video of today’s protest here. The demonstration was also covered on Orissa TV and MBCTV in India.